Parents, don’t let your girls join the Boy Scouts. If this was your squad, why would you want to join the boys? The Boy Scouts of America are conducting a “covert campaign” to get girls into their programs, according to a stern letter the Girl Scouts of the USA sent the Boy Scouts board on Monday. The letter, obtained by BuzzFeed, says that the BSA’s plan would “result in fundamentally undercutting [the] Girl Scouts.” A BSA spokeswoman confirmed that the organization has been “exploring the benefits of bringing Scouting to every member of the family—boys and girls,” though no final decisions have been made. 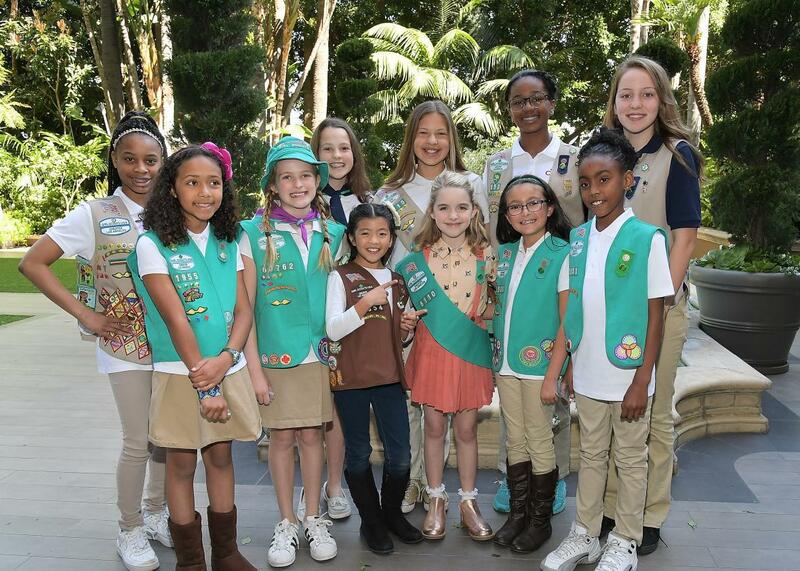 If BSA leaders are considering admitting girls to boost membership numbers, as the Girl Scouts allege, can you blame them? The group is one of the best-known civic organizations in the country, but it only markets to half the population in its target age group. Little girls and parents have accused BSA of engaging in gender discrimination, pushing for the organization to let kids of any gender join a troop and earn merit badges like any other scout. And with the public-relations deficit BSA has racked up with its ban on gay leaders (which they recently reversed after much criticism) and its chillingly warm reception for Donald Trump, the Boy Scouts could use a highly publicized, progressive win. None of that makes girls in the Boy Scouts a good idea. The organizations were founded on two very different visions of gender in America. While BSA began as a response to turn-of-the-century worries that rugged American boys were becoming urbane weaklings, GSUSA began soon after as a space for girls to explore the adventuresome, outdoorsy sides of themselves that were discouraged by mainstream society. The Boy Scouts were affiliated with a different girls’ organization for a time: the Campfire Girls, which represented a more traditional gender paradigm with an emphasis on domestic handiwork. If the Boy Scouts were founded to tether boys to stringent gender norms, the Girl Scouts were founded to challenge them. Ever since then, GSUSA has helped girls exercise their power and test their capabilities in a space set apart from the boys by whose skill sets they might otherwise measure their own accomplishments. When girls don’t have to worry about how they’ll look if they perform a task better or worse than a boy, they’re more likely to explore the far reaches of their own potential. They also get opportunities that are harder to find in organizations where boys make up the majority—or even minority—of participants. When girls and young women must occupy all leadership roles, girls and young women learn how to lead. If boys have a special, specific need today, it’s not for a group that reinforces traditionally masculine behaviors and activities. The biggest benefit kids can get out of a single-gender social group is a chance to experience life outside the confines of ubiquitous gender dynamics. The 21st century doesn’t need Boy Scout troops with girls in them. It needs a Boy Scout curriculum that challenges and expands traditional notions of masculinity, doing for boys what GSUSA has done for girls. Instead of chipping away at the Girl Scouts’ membership, the Boy Scouts should heed its example.